Think you may have a toxic hepatopathy based on examination, bloodwork changes, and diagnostics such as ultrasound but can’t remember common causes of toxic causes in our small animal patients? 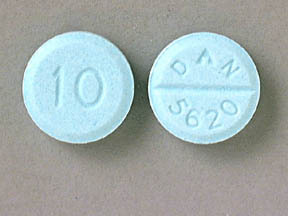 1) Diazepam: Acute idiosyncratic hepatic necrosis has been reported in a small number of cats receiving oral diazepam at normally prescribed doses, with signs of illness seen within the first 5-10 days of therapy. Clinical signs of illness include anorexia and lethargy with other variable signs including vomiting, diarrhea and icterus. The diagnosis is made on the basis of clinical suspicion in a cat with elevated liver enzyme activity and a history of oral diazepam use. 2) Methimazole: Methimazole is a medication used drug to treat hyperthyroidism in cats. A small percentage of patients will develop hepatotoxicity from methimazole, commonly seen within the first 2 months of treatment. Clinical signs include anorexia, lethargy, vomiting and icterus. Similar to diazepam toxicity, the diagnosis is usually made on the basis of clinical suspicion in a cat with elevated liver enzyme activity and a history of methimazole use. 3) Xylitol: Xylitol is a sugar alcohol used as a sugar substitute in products such as gums, candies, baked good, and drinks. In dogs, xylitol has been linked to several clinical syndromes of illness including hypoglycemia as well as acute idiosyncratic hepatic necrosis. 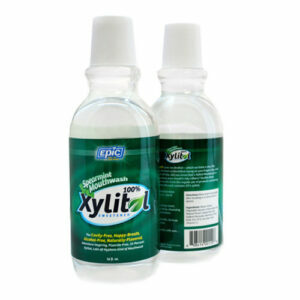 Dogs ingesting xylitol develop mild to moderate increases in ALT activity within a few hours and potentially hepatic necrosis 48–72 hours after ingestion. 4) Aflatoxins: Aflatoxins are secondary metabolites primarily of Aspergillus flavus and A. parasiticus and are seen as a contaminate a variety of foods, particularly corn and nuts. Hepatotoxicosis is dose-related and caused by the formed metabolites. Canine aflatoxicosis is traditionally described as peracute, acute, or chronic representing dose-response toxicity with variable elevations in liver values and bilirubin. 5) Potentiated sulfonamides: Potentiated sulfonamides may result in a variety of abnormal signs and illnesses ind dogs, notably a hepatopathy. The illness and hepatopathy occurs within 1-4 weeks of administration, with a mean of approximately 2 weeks from the onset of therapy. Concerns include not only acute liver failure but encephalopathy and coagulopathy may also result.